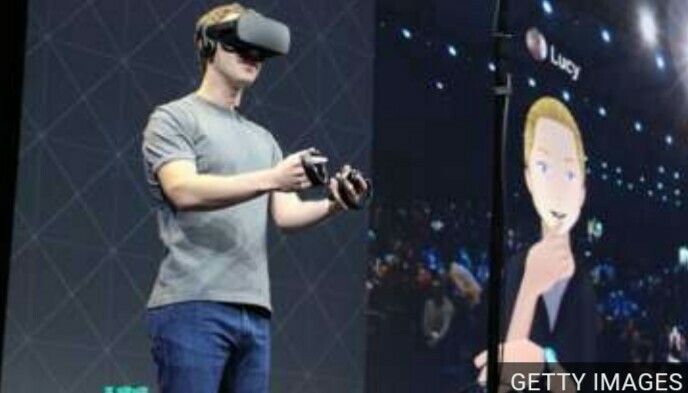 A US court has put Facebook on the hook for $500m (£395m) in damages over claims it unlawfully used another firm’s virtual reality technology. The jury found Oculus, which Facebook bought in 2014, used computer code belonging to video game developer Zenimax to launch its own VR headset. Oculus said it was “disappointed” and would appeal the ruling. The case threatened to overshadow Facebook’s latest results, which showed the social network’s profits rose 177%. Facebook reported that net income jumped to $10.2bn last year, helped by higher advertising revenues from its nearly two billion users. Shortly before the results came out, the court awarded Zenimax damages from Facebook, Oculus and other defendants after a three-week trial. Zenimax argued in the case that its early innovations in virtual reality were unlawfully copied when Oculus built its own headset, the Rift. “We are pleased that the jury in our case in the US District Court in Dallas has awarded Zenimax $500m for defendants’ unlawful infringement of our copyrights and trademarks,” said Zenimax chief executive Robert Altman. Palmer Luckey, the founder of Oculus, was also found to have broken a non-disclosure agreement with the firm. However, the jury ruled that none of the defendants misappropriated Zenimax’s trade secrets. Few people will have given Mark Zuckerberg as many headaches as Palmer Luckey. The 24-year-old founded Oculus VR, and when Facebook stepped in to buy the firm for $2bn, he was rewarded very handsomely indeed. Then it went a bit downhill. First, it was revealed he was using some of that money to fund a pro-Donald Trump trolling campaign, which led to Facebook removing him from public view. He didn’t even turn up his own company’s developer’s conference last year. And now, a jury has ruled that he broke a non-disclosure agreement that’ll mean $500m in damages (unless Facebook wins on appeal). Mark Zuckerberg doesn’t display many emotions – but you wonder what he’ll be like behind closed doors on this one. As it stands, Palmer Luckey is still a Facebook employee, but what he’s doing there is anyone’s guess – the company won’t even tell me his job title.